One door with drop-down door facility which can be used as writing desk. 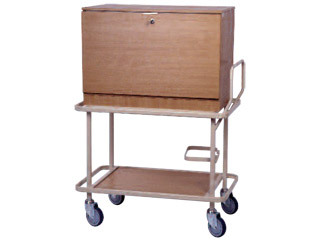 24 Internal Trays for storing individual patients medication and separate full height storage area approx. 180mm wide with adjustable shelf. Waste bin supplied as standard.